The Kumamoto Artpolis x Home-For-All Exhibition is open at Contemporary Art Museum Kumamoto. 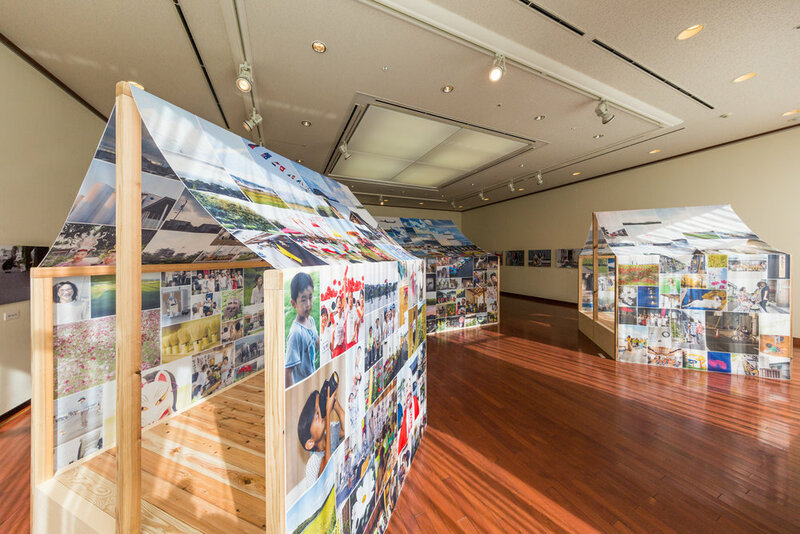 The exhibition aims to show the lives of people living in temporary housing in Kumamoto, an area widely affected by the earthquake in 2016. Klein Dytham architecture has helped to curate this special project that showcases the nearly 1000 photos taken by 14 residents of temporary housing following the earthquakes, aged from 8 to 73 years old. They were given cameras and photography lessons to tell their daily stories. Though many of these people lost their bricks and mortar houses, this exhibition is a moment for them to show us what “home” truly means to them. They remind us that a home is much deeper and more special thing than any house, temporary or otherwise. In the spirit of creating Homes for ‘ALL’, one house in the exhibition has been intentionally left blank as a living installation, so that visitors can add their own images. This house, Mashikimachi Techo, was designed and built by students of Tomoyuki Tanaka from Kumamoto University and is partly made of cardboard. On 2nd December the exhibition was opened with a PechaKucha Night special held at Contemporary Art Museum Kumamoto. The varied speakers included the local photographers who participated in the exhibition, those who are committed to the reconstruction of Kumamoto and the lovable Kumamoto mascot Kumamon!